Published in 1969, Knowing the Spirit (Marefat ol-Ruh) represents the culmination of Ostad Elahi’s extensive theological and philosophical research, as well as his exploration of the various dimensions of the human spirit. 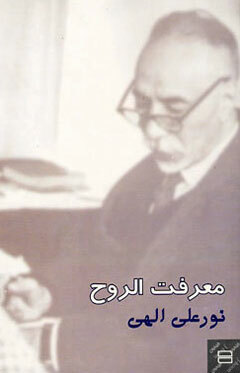 Considered to be among his theoretical works, its publication in the second half of the 20th century suggests that Ostad Elahi was seeking to revive the discursive tradition of philosophical-theological discourse. Yet the purpose of the book reaches far beyond such theoretical discussions. Using logical argumentation and the customary methodology of the metaphysical tradition in which he was fully versed and that links Neoplatonism to Avicenna to Mulla Sadra, Ostad Elahi integrates the findings of his own research and intuitive discoveries with those theoretical and logical discourses. Ostad Elahi’s accounts derive from his inner experiences, which are afforded the same validity as rational argumentation in the Islamic tradition and are known as kashf or “unveiling”: the intuitive and concrete perception of intelligible or invisible realities. 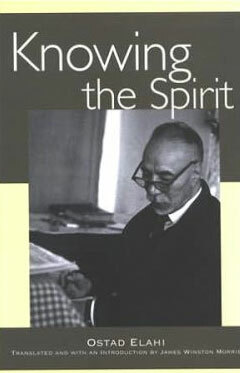 The originality of Knowing the Spirit results from a dual structure that combines logic and rational argumentation with revelation and spiritual knowledge: in the former, Ostad Elahi’s intellectual argumentation implicitly points to the limits of a purely rational and philosophical discourse, whereas the latter opens up such limited discourse to broad spiritual horizons on the soul’s process of perfection. As indicated by its title, Knowing the Spirit addresses questions pertaining to the soul, such as proof of its existence and immortality, while setting forth the different stages the soul must traverse throughout the course of its successive lives before reaching its ultimate destination, i.e., Perfection. The book also covers other topics, including the existence of God, the intermediate world (or interworld), and eschatological matters such as the Return and Resurrection. Ostad Elahi presents the various positions and arguments traditionally associated with each of these topics, refuting several of them in the process, especially the theory of transmigration. Among these various discussions, chapter seven merits special consideration as it constitutes the very heart of this work. Here, Ostad Elahi presents a precise commentary on the general doctrine of perfection and the various modalities of the soul’s process of perfection, as well as a novel description of the intermediate world and the modes of the soul’s existence in that spiritual environment. It is also in this chapter that Ostad Elahi discusses the cycle of ascending successive lives within the framework of the conditions governing the soul’s process of perfection both in this world and the next. Through his description of the principle of ascending successive lives, Ostad Elahi presents another fundamental concept within his system of thought, as it is on the basis of this principle that he sets forth logical explanations for the apparent injustices that are perceived in the world. 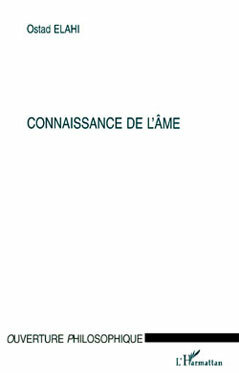 The principle of ascending successive lives poses a challenge, however, for on the one hand it is not accepted by all religious orthodoxy, and on the other it has been conflated with certain aspects of transmigration theory that contradict the philosophy of the process of perfection. Ostad Elahi also examines the metaphysical constitution of human beings and describes the role of the terrestrial and celestial souls in the process of perfection and the manner of their interaction with one another. Throughout this work, the use of rational, religious, and intuitive arguments both in parallel and in conjunction with one another results in a discourse that is philosophical within the Greek sense of the word, while at the same time retaining a strong connection to spiritual discourse rooted in the religious traditions. One of the goals of Knowing the Spirit is to demonstrate that the theory of the process of perfection is not only compatible with the principles of the divine religions, but can also be considered as the logical outcome of these very principles. Now since the barzakh (intermediate world) has just been mentioned, this is perhaps the right occasion to explain something of the distinctive features of that intermediate world in order to illuminate the minds of those who would like to understand it. The intermediate world is a world situated between this material world and the realm of eternity, a world that is devoid of (this world’s) spatial dimensions and temporality. In other words, the intermediate world is so unlimited with respect to its spatial capacity that, for example, all of the beings in creation, from the first to the last, could be brought together in that realm without ever restricting its capacity and relative extent in any way. This is just like the way it happens with all the thoughts and mental occurrences that enter into the human mind and brain: even though they may be unlimited, they can all still be retained there without that requiring any increase or decrease in the capacity and extent of the brain. With regard to temporality, as well, a certain kind of extent of time takes place there that is unique for every particular individual being, varying according to their destiny and what they have come to deserve through their actions. Thus, according to the different individual cases, the period of one ‘year’ in the intermediate world may not correspond at all to one year of solar time on the planet Earth, when you compare the two. For example, a full year of earthly time may be equivalent to as little as a second of time in the intermediate world. And at the opposite extreme, a second of earthly time may correspond to as much as a year in the intermediate world. Moreover, one should not suppose that the extent of periods of time in the intermediate world—for example, when it is mentioned that a single second there is equivalent to one year of solar time on earth, or the inverse—is the result of something illusory or unreal and imaginary. It is not at all like our imaginary seeing of things in a dream. For example, suppose that someone sees in a dream an enormous space filled with a vast multitude of people over an unimaginably immense period of time: yet when that person wakes up, nothing at all remains of the actual effects of those things. Whereas in that intermediate world, which is a world of (real) images or likenesses, the basis of space and time is solidly grounded in real spiritual sensations—not in the forms of size, number, and extension of this earthly, material world. Or to put it another way, whatever appears to each person (in the intermediate world) through those spiritual sensations is actually real and absolutely true. Now the reason why the intermediate world has also been called a sort of ‘imaginal world’ or ‘world of likenesses’ is because after each being in this material, earthly world dies, it becomes manifest in the intermediate world in whatever shape and form and build it already had, with the same proportions and all its other qualities. Moreover, whatever milieu and surroundings it was lacking in this lower, material world for continuing its process of perfection, there will be prepared and projected for it in the intermediate world a real, particular milieu that is the exact likeness and image of the earthly milieu and surroundings that it needed, along with the period of time it needs. One final point that must also be considered attentively is that the difference between this lower, material world in relation to the higher realm of the intermediate world is exactly like the relation between (the state of) the fetus in its mother’s womb and that of the newborn infant in its open, free environment, or like the difference that separates shadows from the light.